If you are considering a career in accounting and are looking to attend school in Arizona, you have a few choices. In a state with a population of over six million, there are only a handful of schools that offer on-campus accounting programs. Arizona State University offers their accounting program in the W.P. Carey School of Business. DeVry University’s program is offered through Keller Graduate School of Management. Northern Arizona University’s program is through The W.A. Franke College of Business. 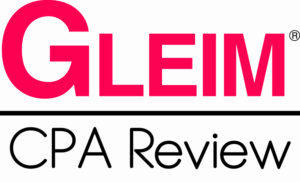 University of Arizona’s accounting program is through Eller College. Although there aren’t very many on-campus options in Arizona, you will still have a chance to become a CPA, the importance lies in finding the right accounting program for you. Consider an online accounting program or relocating closer to your dream school. A short supply of accounting schools can be problematic for those looking to pursue a career in accounting. Not every school out there may cater to your goal of earning your certified public accountant (CPA) license. The best thing you can do is to research all of your options carefully and thoroughly. What is their website like? Does it describe their program in detail? Do they offer a program that can train you for your CPA exam? If you want to know more about their program, you can get in touch with someone on the faculty? They may be able to provide you with more details on what the program is like, what to expect and what their requirements are. You can also contact a current student or alumni and they can give you their honest opinion on the program and whether or not they would recommend it to someone who is seeking a career in accounting. Every state has its own requirements for qualifying for your CPA license. The first requirement is education. Most states require that you have a minimum bachelor’s degree and a total of 150 semester hours with a certain amount of semester hours in accounting courses and a certain amount in business courses. Some programs will offer accelerated five year courses. Once your schooling is finished, you must qualify for the CPA exam. This exam is extremely difficult and is known for its low pass rate. Nearly half of all accounting students do not pass this exam. Once the CPA exam is successfully finished, you will have to take an ethics exam. On top of all these exams, you must also have a certain number of hours working as an accountant, financial advisor, or related field and your hours must be verified by a CPA. Once you have your educational requirements fulfilled, the CPA exam and ethics exam passed, and the certain amount of experience, then you will qualify for your CPA license! 150 semester hours with a minimum bachelor’s degree. 30 semester hours must be upper level business courses. You must also pass the CPA exam as well as an ethics exam. You must pass the ethics exam with at least 90%. Arizona also requires that you work at least one year in finance, business, taxes, or related fields and that your hours are verified by a certified public accountant. 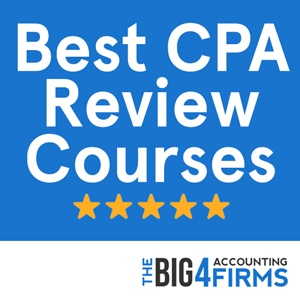 Once you have completed all of the above requirements, you may then apply for your CPA license. Everyone wants to know how much their career choice could make them financially. The entry level amount is usually around $50K and with time and experience, it can rise to upwards of $80K but that all depends on the person, the demand for their services and other factors. If you are working for a larger company, perhaps they will pay you more than the average amount, or perhaps you get a job with a small firm who can only pay so much. There is also the possibility of working independently for yourself. 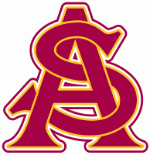 Arizona State University’s W.P. Carey School of Business is well known within the accounting community. They offer educational training in complex financial concepts, critical thinking, communication and technology skills, and everything you must know in order to be a successful accountant. They have close ties with national and international firms and can assist you in getting a good job placement. All of their programs are designed to help challenge you to make you the best accountant that you can be. With a small but dedicated faculty, this school offers students a great deal of expertise and challenges them to push the boundary on the discipline of accounting. 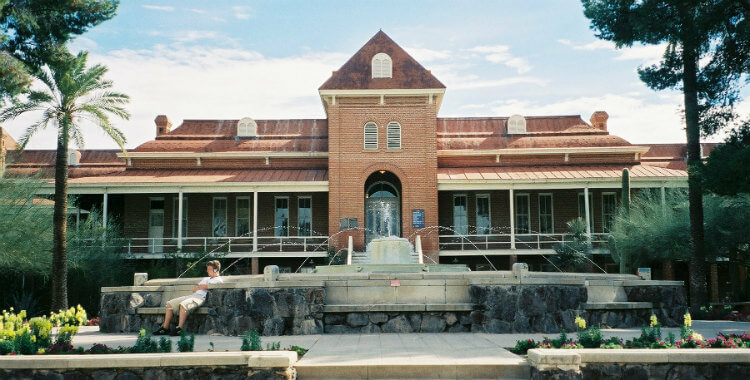 According to Public Accounting Report’s 32nd Annual Professor’s Survey of 2013, University of Arizona placed number 38, on the runners up list for the top undergraduate program in the country (down from ranking twenty five in 2012). Their masters program ranked number thirty nine (down from number twenty two in 2012). Their doctoral program placed number twenty five (down from twenty four in 2012). According to Accounting Degree Review’s Ranking and Reviews of the Best Accounting Degree Programs Arizona State University’s W.P. Carey School of Business is ranked at number sixteen. This program puts strong emphasis on networking and collaborating with major accounting firm representatives. The W.A. Franke College of Business at Northern Arizona University ranks 104th nationwide according to U.S. News. The school offers a comprehensive program including an undergraduate degree and a full-time MBA. The Bachelor of Science in Accountancy at Northern Arizona University is AACSB-accredited and consists of 120 credits with courses in accounting, management, economics, business, finance and math. Students wishing to continue their studies at the graduate level or fulfill CPA requirements may opt for the Master of Business Administration. This prestigious course was ranked among the top 3% in the country among programs of the same size by US News and was also highly rated by Military Times as a good fit for military veterans. If your eyes are set on the CPA license, you may enroll on the competitive MBA-Accountancy program to complete the 150 required credits. This accredited program is a good alternative for motivated students wishing to pursue accounting in Arizona. With campuses in several locations in Arizona such as Glendale, Mesa and Phoenix, DeVry University offers a range of online and on-campus accounting degrees. You can choose between an Associate’s degree in Accounting and a Bachelor’s degree in Accounting, Business Administration, Management or Technical Management with a specialization in Accounting. If you are looking for a graduate degree program you can opt for the Master’s degree in Accounting or for the Master of Business Administration program available at DeVry University. While the university’s College of Business and Management benefits from several types of accreditation, it is not AACSB-accredited. When choosing a program also bear in mind that online degrees (especially from for-profit schools like DeVry) are less well regarded by employers. Opting for a quality on-campus program would put you in a better position to start a career in accounting and would allow you to attend networking events and gain essential extracurricular experience. While DeVry may be an option for prospective accountants who cannot commit to full-time on-campus education, an AACSB-accredited and highly ranked school would be preferable if you are looking to jump-start your career.